What Is a Linux Beta Release and Should You Try One? Weeks or months before a new release of a Linux-based operating system becomes available, a beta version often appears first. This offers a chance to see what’s coming down the pipeline ahead of time. But should you download these beta releases? What Is a Beta Version of a Linux OS? In the computer software world, a beta version is an iteration of a program that has all of the features its developers intend but still needs to undergo testing to iron out any remaining bugs. In short, a beta is almost ready for release What Does "Beta Software" Really Mean? What Does "Beta Software" Really Mean? What does it mean for a project to be in beta and should you care? Read More but not quite there. Beta is the second letter in the Greek alphabet. Beta releases often follow alpha releases (the first letter in the Greek alphabet), which are even earlier iterations that are sometimes available for public download. While betas are often in a state where they feel ready for public consumption, this is rarely the case with alphas. Developers release betas for a number of reasons. 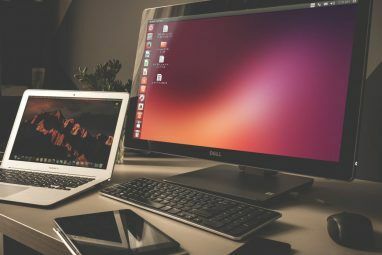 These versions provide a chance for people to directly test new features, like those that appeared in the latest Ubuntu long-term support release 6 Great New Features to Love in Ubuntu 18.04 LTS 6 Great New Features to Love in Ubuntu 18.04 LTS Ubuntu 18.04 LTS has been released, but do you really need to upgrade to it? Well, if you want any of these great new features, the answer is yes. Read More . Some passionate users will deliberately test software to hunt for bugs. People also provide quality assurance, covering issues as diverse as pointing out buttons that seem too small to recommending a pop-up window at first launch to clarify features. People who download beta releases specifically to help out developers, are known as beta testers. Beta releases aren’t just for end users. These iterations provide app developers and hardware manufacturers a chance to test out their programs on an upcoming version of an OS before the official release. 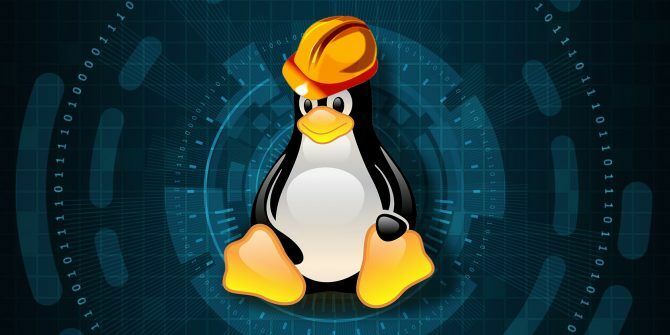 This way, Linux software The Best Linux Software and Apps The Best Linux Software and Apps Whether you're new to Linux or you're a seasoned user, here are the best Linux software and apps you should be using today. Read More that doesn’t come from OS developers can provide a reliable experience from day one. Early betas also give journalists time to familiarize themselves with a platform before covering the launch. There are many components to an operating system. Without time to get accustomed to a system, a reviewer under pressure to publish a story as quickly as possible may provide inaccurate information. Who Should Try Out Betas? If you’re willing to help find bugs, provide constructive feedback, test out your app, or make a living covering software, then betas are explicitly for you. But these aren’t the only reasons people download betas. Many grab them simply out of curiosity. This is especially common in the Linux world, where people are disproportionately comfortable with tinkering with their computers. You’re perfectly welcome to download the beta version of a Linux-based OS, but you need to foster the right expectations. Beta releases can be fun. In addition to providing a glimpse of the future, they offer a chance to learn more about the Linux development process. Here are some things to keep in mind as you’re clicking the download button. A beta does not represent the final product. It’s unfair to a developer to say you don’t use their software because you tried out the beta and the experience wasn’t yet stable or functional. Things can change before the official release. While a beta is largely feature complete, that does not mean things are set in stone. The experience may seem inconsistent and unreliable. Interface elements might shift around or disappear without a moment’s notice. Various components, or the entire desktop environment, may spontaneously restart. Some things may not work at all. While most features may be good to go, developers may hold some functionality back for the full release, especially when a cloud service is involved. 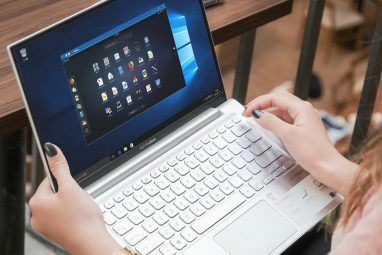 It’s often possible to run a beta version of an OS on your PC without running into any glaring issues. You may have heard a friend do this, or you may have done this yourself. That’s fine. Just don’t assume things will go well next time just because things went well the last time. What Are the Risks of a Linux Beta Release? That’s a fair question. Enough beta versions of Linux OSes are so stable and dependable, they give the impression that all betas are safe to use. But there’s one big risk. Bugs in beta software can result in data loss. This data loss can stem from a bug corrupting data on your hard drive, or a system crash that doesn’t allow programs to save data before shutting down. Also, switching back to a non-beta version will likely involving reinstalling an OS from scratch. This is a similar situation to what we see on non-Linux software Sick of the iOS 12 Beta? How to Return to iOS 11 Sick of the iOS 12 Beta? How to Return to iOS 11 Want to downgrade from the iOS 12 public beta and go back to iOS 11? Here's how to return to the stable version until iOS 12 properly launches. Read More as well. There’s also a risk to the Linux project itself. You may form a premature judgment of the Linux-based OS in question. You could even damage other peoples’ perceptions of a Linux-based OS if you talk too much about your experiences of the beta release. They may not know that you’re using experimental software that is explicitly not ready for public consumption. You might have to wait a while before the official release. Sometimes beta periods are short and you can see things go stable in a matter of weeks. Other times, an OS stays in beta for months. Sometimes teams decide to delay the official release day if certain bugs persist. Some of these issues risk more damage to a project than to you or your computer. But when the risk to your PC involves data loss, it’s wise to proceed with caution. So after reading this far, you’ve decided you’re going to download the beta version of a Linux OS. Now let’s talk about the precautions you can take to stay safe. Install the beta on a secondary computer. If you have more than one machine lying around, one can serve as the PC you use for work or school. This primary machine runs a stable OS. Your second machine can then run whatever software you want without risk to your data. Run the beta inside a virtual machine. A virtual machine runs a simulation of a PC on your computer What Is a Virtual Machine? Everything You Need to Know What Is a Virtual Machine? Everything You Need to Know Virtual machines allow you to run other operating systems on your current computer. Here's what you should know about them. Read More . All of the data on this virtual PC is separate from your regular data. It’s a safe way to try out Linux OSes, but it doesn’t provide as smooth an experience as installing an OS directly to your hard drive. Back up your data beforehand. If you are going to install a beta on your primary computer, at least make sure you have stored recent copies of your data in a safe place. It simply isn’t possible to discover and fix all that the possible issues a piece of software might encounter without sticking it into the wild. 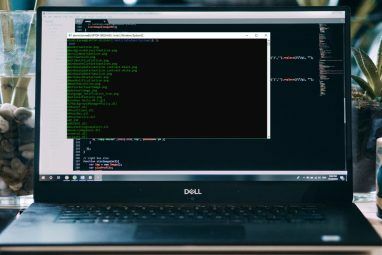 Even with help, some Linux-based OSes still end up buggy 6 Reasons Your Favorite Linux OS Is Plagued by Bugs 6 Reasons Your Favorite Linux OS Is Plagued by Bugs You found a new Linux operating system to try, and you loved it. But then it went wrong. Sometimes Linux gets buggy after a month or two. The question is, why? Read More . I am using Ubuntu 18.04, and for me its the best os.